The Vsun DNA is cool budget smartphone with decent features and good performance. The device has an amazing screen display size of 5.0-Inch IPS HD display, comes with an exclusive Vsun leather case, running on Android operating system with lots of storage space that can still be expandable using Micro SD card. The device support dual SIM card, 3G Network, GPS support, Wifi and Hotspot wireless connection and has a good camera. Click here for the complete review and specifications. Vsun is a Smartphone production company with a vision transforming into a top global smartphone brand to provide easy to use and high quality products (according to the companies about page). 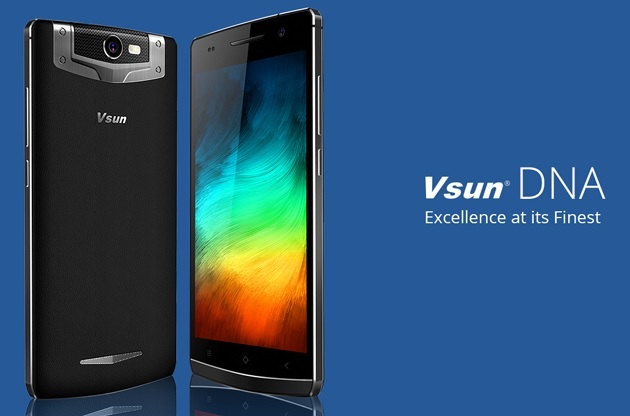 However, Vsun smartphones are quit cheap and has a good performance and quality features. And just as innovation can not just end at once, the company keep upgrading and making there new devices better both in performance and quality. Vsun product are nice to own. There are some cool things about Vsun DNA and the reason I like this phone is because; The device has an inbuilt memory of 16GB and it can still be Expanded vis MicroSD Card, Dual SIM Card meaning you are not limited to only one choice of Network. Just as the device has cool and awesome feature, I wont agree that everything about the smartphone is completely alright. Cool features I don't like about the smartphone are; Running on Android 4.4 Kitkat, a battery capacity of 2300mAh. I just wished the device has a bigger battery capacity, it wound have been more awesome and that the only cons about the device.